Mount Etna is an active volcano on the east coast of Sicily, close to Messina and Catania. It is the largest active volcano in Europe, currently standing about 3,326 m (10,910 ft.) high, though it should be noted that this varies with summit eruptions. It is the highest mountain in Italy south of the Alps. 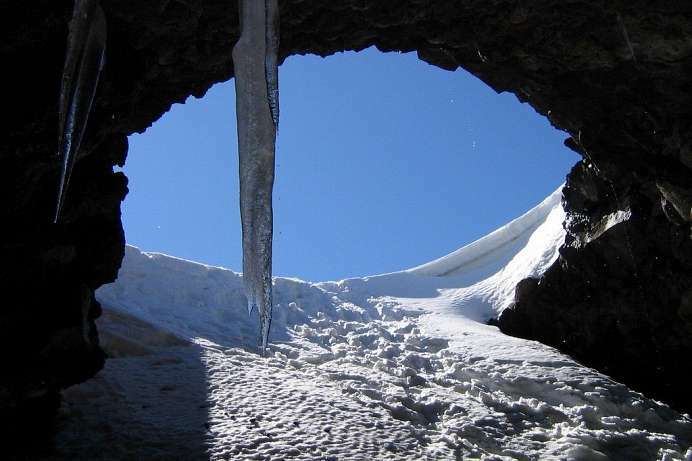 Etna covers an area of 1190 km² (460 square miles) with a base circumference of 140 km. This makes it by far the largest of the three active volcanoes in Italy, being nearly three times the height of the next largest, Mount Vesuvius. Although Mount Etna is one of the most active volcanoes in the world, thousands of people live on its slopes and in the surrounding areas. The fertile volcanic soils support extensive agriculture, with vineyards and orchards spread across the lower slopes of the mountain and the broad Plain of Catania to the south. The area around the peak has been designated a national park. 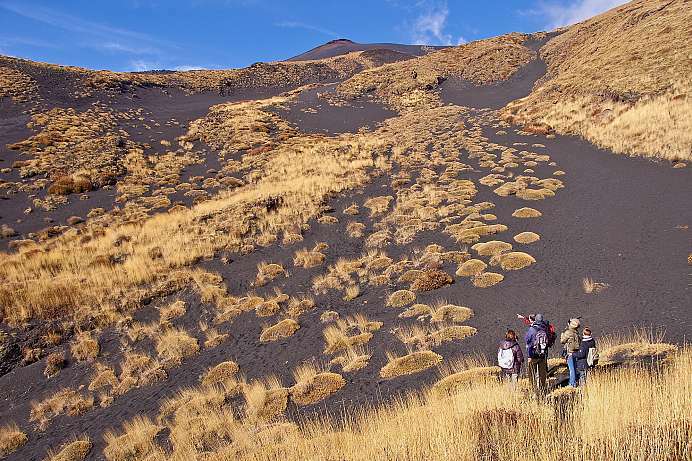 A trip to the smoking craters of Mount Etna is the highlight of a trip to Sicily. A road leads from Catania to the Rifugio Sapienza on the south side of the mountain. From there the journey continues by cable car and jeep to the top. In addition to sturdy footwear and a headlamp, this hike requires good physical condition, steadiness on your feet, and alpine experience. In many respects the ascent of Mount Etna is the climax of any trip to Sicily. It starts at the Rifugio Sapienza with a cable car ride. The tour is booked here, too. It is not recommended to attempt to climb the volcano on your own. The biggest danger is getting lost in the fog or thunderstorms. Since most of the ascent is done by cable car and jeep, the walk is not too strenuous. Normal fitness, good walking shoes and rain gear are essential. At the mountain station Montagnola (2,504 m) you get into a jeep. From here you drive along adventurous slopes to the area of the central summit up to a height of about 2,900 m. From here a hike through the lunar landscape proceeds. Afterwards the jeep and cable car take you back to Rifugio.